Escaped to the tranquil beauty of Ischia. 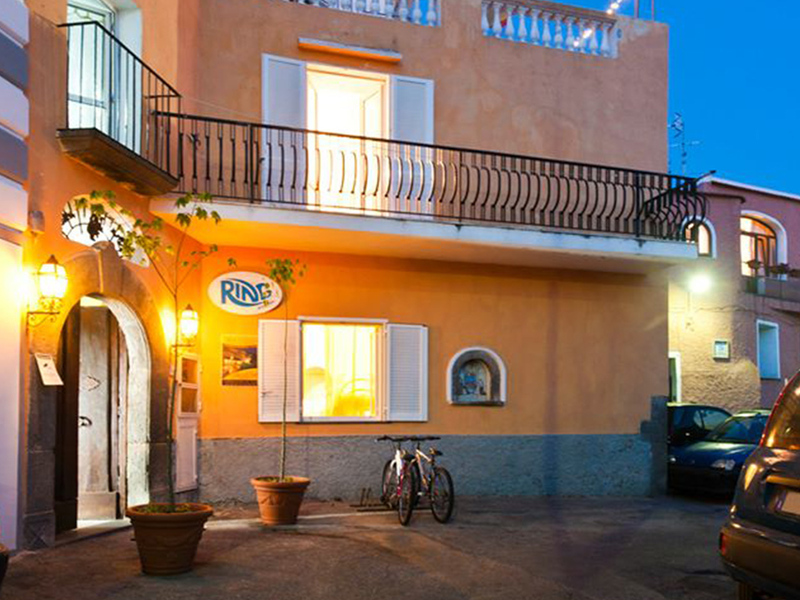 Ring hotel is an easy walk from the bus stop up pretty, meandering, cobbled streets. The hostel is a big old, solid and therefore cool, building. It has a large welcoming common area and kitchen. Staff, particularly Monica, were brilliant and couldn’t have been more helpful. Always on hand to give local advice and tips and do everything to make your holiday a pleasure. Spacious rooms, comfortable beds, crispy white linen, Good wifi throughout, including bedrooms, and a free buffet style eat as much as you like breakfast, including apricots and plumbs from their own garden. Couldn’t recommend this place more. Forio is a lively, picturesque port town surrounded by beautiful countryside and well connected by cheap public transport. Don’t worry about accessibility; a EU12 one and a half hour ferry from Naples and then a EU1.20 bus ride will bring you to a ten minute walk to the hostel.